Animal Zone International, in cooperation with the Municipality of Amorgos, will be conducting a sterilization program for stray cats on Friday 2 and Saturday 3 of March 2018. The cost of the program will be covered by Animal Zone International and the Municipality of Amorgos. they are all in good health and have been released back into their home turf. 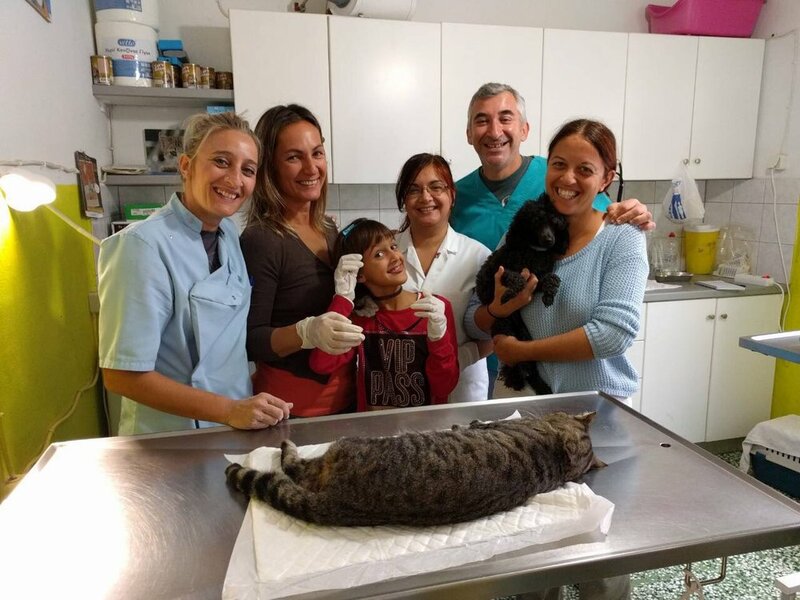 their expertise to the feral cat colonies of Amorgos. We also want to thank Mr. Michael Koveos for his generosity in providing accommodation for our two vets in his Anna Studios Pension. important project sponsored by Animal Zone International. And we have committed to another program to be held in March. Our wonderful team, from left to right, Nikoletta Delasouda, Anna- Maria Markentoudi, her daughter Melina, Hariklia Psaki, Dr. Manolis Vorisis and Litsa Passari. Little Melina was a great partner in helping to care for the cats after their surgeries.